2010 Holiday Gift Guide | All Parks | Oh, Ranger! Find something for everyone on your holiday list with our gift guide. Remember to start your shopping early to qualify for ground shipping, which is less expensive and more environmentally friendly. You can also give mother nature a hand by re-using household products to wrap your gifts! For even more about keeping it green this holiday season, check out our eco-friendly holiday tips. This beautiful coffee table book is the most comprehensive collection of Ansel Adams' park and wilderness photographs ever published. Adams photographed in more than 40 national parks and wilderness areas over six decades—extending from Hawaii Volcanoes in the West, north to Denali and Glacier Bay in Alaska and the Canadian Rockies, southwest to the Grand Canyon and the Rocky Mountains, and east to Acadia and the Great Smoky Mountains. Ansel Adams in the National Parks features more than 225 photographs, 50 of which have never before been published. It features essays by Richard B. Woodward, Wallace Stegner and Will A Turnage, commentary by Andrea G. Stillman, and quotations and essays by Ansel Adams. 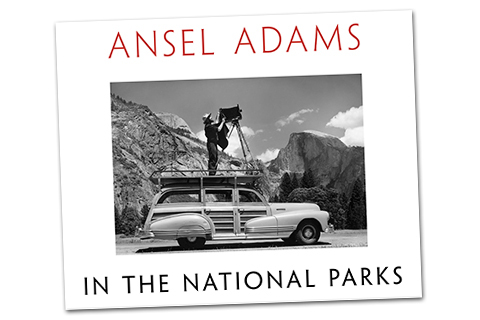 Ansel Adams in the National Parks; $40 at eparks.com. A great gift for the camping enthusiast on your gift list, this ingeniously portable, incredibly versatile, spillproof and functional Outdoor MealKit from Light My Fire makes it easy to prepare, clean up and enjoy the great taste of every campfire meal. It’s got everything you need to prepare and eat a meal anytime, anywhere: two plates, a spill-free cup with lid, a combined colander and cutting board, a spork and a small waterproof box for spices and other essentials that just have to stay dry. The MealKit is great for throwing in a backpack, boat or picnic basket, and can even act as a lunch box. 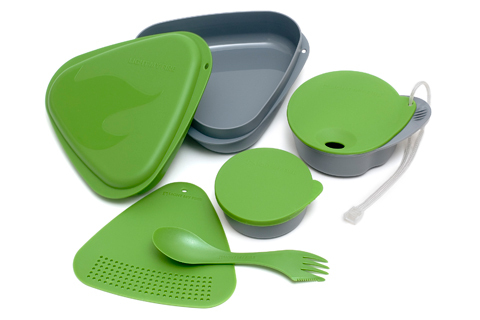 It’s made from BPA-free polypropylene and is dishwasher and microwave-safe. Light My Fire Outdoor MealKit; $19.95 at reuseit.com. The perfect gift for the youngest park-lovers, M is for Majestic: A National Parks Alphabet, provides a great introduction to national parks across the country. Featuring pages like ‘A’ is for Acadia and ‘M’ is for Mesa Verde, kids can learn to read and learn about what makes our parks’ beautiful. Just like M is for Majestic, a second option is S is for S’mores: A Camping Alphabet, a great way to get kids interested in camping. The book explains what to pack, things to do and what to look for on your next camping trip. Each book also has something parents, featuring more detailed descriptions that begin with the same letter. Be sure to pay particular attention to the beautiful illustrations that sprinkle the pages. 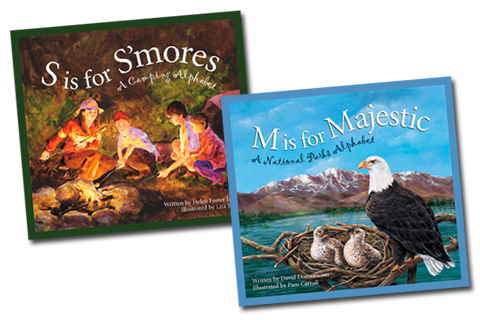 M is for Majestic; $17.95 at amazon.com and S is for S’mores; $17.97 at amazon.com. 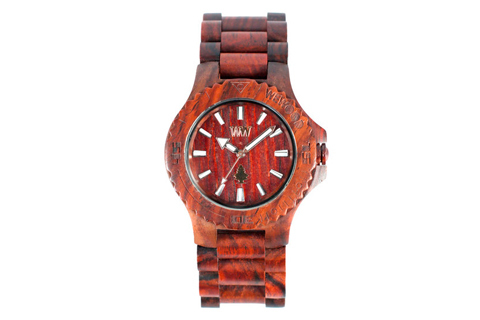 Perfect for stylish, eco-conscious outdoor enthusiasts, WEWOOD watches are fashionable and sustainable. They’re made from partially from reclaimed wood, and WEWOOD will plant a tree for every watch sold. WEWOOD works with the American Forests organization to plant trees in national forests and other places of need throughout the country. The watches come in a variety of colors and styles, and both analog and digital versions are available. We love the neutral color palate, as well as the modern take on giving back. WEWOOD Watch; $119 at we-wood.us. This holiday season give the gift that kids can enjoy throughout the year. A Ranger Rick subscription offers beautiful photos and fascinating stories as well as activities for even the youngest readers. The best part about a Ranger Rick subscription is that all profits from the magazine support the National Wildlife Federation! Not only will everyone on your list love it, but you’ll be helping the environment too. 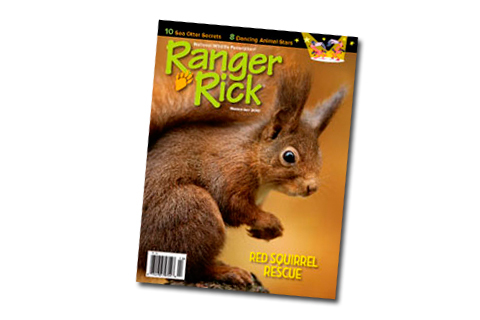 Ranger Rick Subscription; $19.95 at nwf.org. A relative newcomer to the outdoor community, Numa has done what outdoor adventure consumers have been seeking for many years. Their sunglasses are simple, well sized, affordable and—most importantly for park lovers—unbreakable! The frames, made of patented Swiss MemFibr™ can be bent, flexed, and even sat on, and they won’t break. Can’t believe it? Take a look at this video to see it for yourself! Even better, Numa Sport Optics are the preferred eyewear of several members of the US Ski and Mountaineering Team. 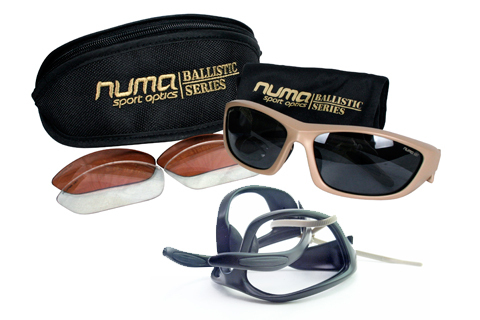 Numa Point Ballistic Sunglasses; $99.99 at numaoptics.com. A staple on item in our annual gift guide, this is such a great deal we can’t ever pass it up. An annual National Parks and Federal Recreational Lands Pass offers unlimited entry to all federal lands—making it a gift that will keep giving all year long! The outdoor possibilities are endless with this unlimited park pass that is valid for the whole year. It will please the outdoor enthusiasts on your shopping list, who can use it to explore any of the more than 2,000 federal recreation sites it covers. Best of all, the proceeds from the sale of the pass go back to support the infrastructure of parks and public lands. 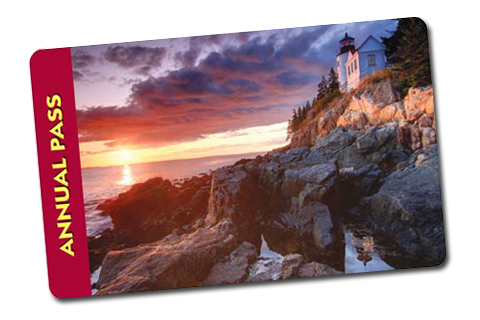 2011 America The Beautiful—The National Parks and Federal Recreational Lands Annual Pass; $80 at parkpass.net. 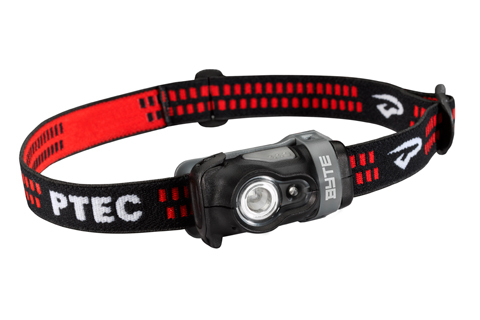 For the gear-lover on your list, the new Byte headlamp from Princeton Tec is a home run. It’s small and lightweight, but packs a powerful lighting punch, thanks to a Maxbright LED. The accessible battery door enclosure and large push button switch make the headlamp easy to use, and at a mere 2.25 ounces, it's easy to pack, too! Batteries are included, and with 146 hours of burntime, you’ll help keep the user of this headlamp bright for their next adventure. Princeton Tec Byte Headlamp; $19.99 at princetontec.com. This bright and buoyant calendar will help keep the art-savvy wildlife lover on your list organized in 2011. It showcases 32 of Charley Harper’s colorful animal abstractions, including famous works like Arctic Circle and Loonrise. It also includes a brief essay about the artist, 57 weekly grids and 13 full-page monthly grids. 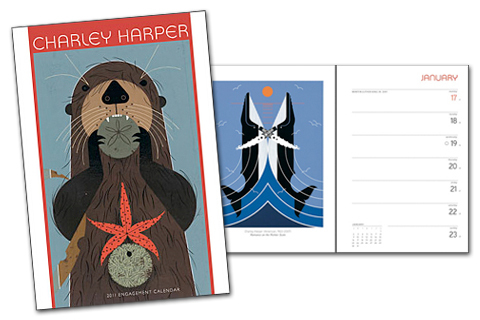 Charley Harper Engagement Calendar; $14.99 at charleyharperartstudio.com. For the traveler on your list, this fleecy blanket, which folds up into the perfect travel pillow will make for a more conformable travel experience, whether by car, plane or train. The super-soft microfleece blanket is just right for taking the chill off or curling up for a brief nap, and it is great for defending against drafty seats and cramped necks. And best of all, the blanket packs into a convenient pouch to form a soft pillow. 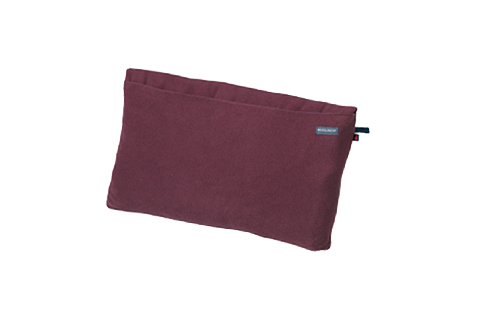 Woolrich Convertible Travel Pillow; $19.50 at woolrich.com. Both eco-conscious and stylish, Timberland’s Earthkeepers™ line of environmentally-forward products offers a wide selection of gifts for fashionable outdoors enthusiasts and adventurous city-dwellers. You can feel good buying Earthkeepers shoes, which are made with materials like recycled rubber and recycled PET. 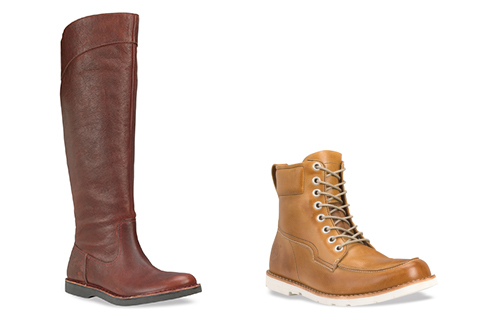 We love the Moc Toe Boot for men and the Cabot Boot for women. Both have Green Rubber™ outsole made from 42 percent recycled rubber, and there’s one and a half recycled plastic bottles in each pair of the Men’s Moc Toe boots! You’ll know what you’re getting, because each pair of Timberlands comes with a green index label, which looks a lot like a nutrition facts chart, but conveys the environmental footprint of the product. In addition, Timberland is committed to planting 5 million trees as part of its Earthkeeping commitment. Every little bit of sustainability helps, so pick up a pair today, or send a gift card and let your gift recipient choose the pair they like. Because nature needs heroes. Men’s Earthkeepers™ 2.0 Moc Toe Boot; $150 at timberland.com and Women’s Earthkeepers™ 2.0 Cabot Boot; $200 at timberland.com. For a meaningful holiday gift for family and loved ones, inscribe a family name on American Immigrant Wall of Honor at Ellis Island. The Wall of Honor is a tribute to our nation’s immigrant heritage and features names of those who arrived through Ellis Island as well as those who arrived through other ports of entry. The Wall celebrates the ethnic diversity of America and is the only place in the United States where individuals can honor family heritage at a National Monument. When you add a name to the Wall of Honor this holiday season, you’ll receive an official certificate in a free designer frame (a $32 value). Order your family name inscription before the end of 2010 and it will be added to the wall by summer 2011. 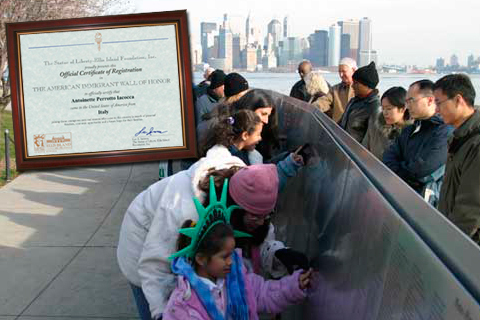 American Immigrant Wall of Honor Inscription; from $150 at wallofhonor.org. 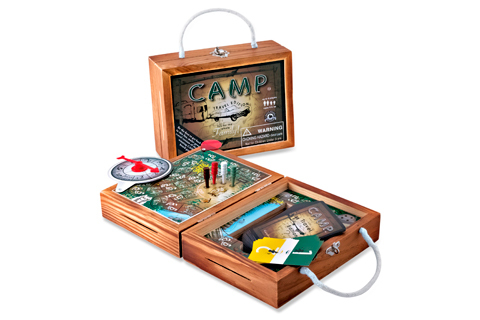 The perfect family board game for a night in the woods, the award-winning CAMP travel set by Education Outdoors is fun, compact and mobile, with a unique wood design. Up to four multi-level players can join in the adventure to advance along the board by answering outdoor trivia questions like animal identification, camping trivia and geography. We love the handy travel case, which folds out into a game board with all the essential pieces attached, and the peg-like game pieces that stay put, even on slanty surfaces or bumpy roads. Camp Travel Game; $20 at rei.com. Give the gift of off-the-grid power! Harness the sun's energy to charge USB-compatible hand-held electronics and power storage devices with the Explorer Power Panel. The Explorer's rugged design folds into a lightweight, flexible, compact package making it easy to take along on any adventure. It can charge most MP3 players, smart phones and portable game consoles. Just lay the Explorer out in the sun for one hour to power a cell phone for eight hours of talk time. 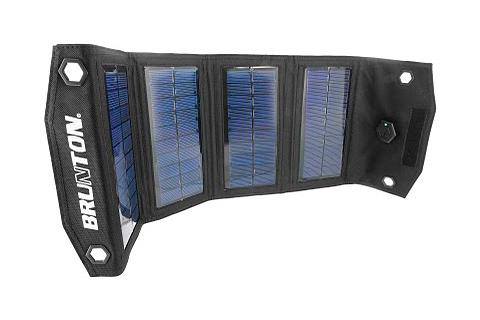 Brunton Explorer Power Panel; $96.24 on brunton.com. If someone on your gift list is in need of an escape, give them the tools they need to start planning their next outdoor adventure. A complete set of American Park Network’s little, green Oh, Ranger! guides will provide just the inspiration your friends and family need to jump-start their plans for an unforgettable trip to our national parks. 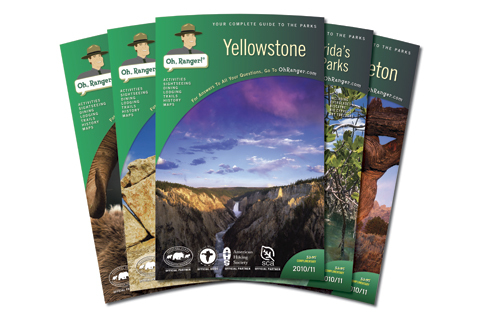 Covering more than 50 state and national parks across the country, with expertly written content and tips, Oh, Ranger! guides have helped more people make the most of their national park trips than any other publication. And better yet, they are completely carbon free. The comprehensive guides are beautifully illustrated and feature an invaluable gatefold map, perfect for navigating parks both large and small. The guides offer everything they'll need to make their next trip, and all the ones that follow, unforgettable.